JJK: Hello and welcome to the Jiu jitsu Kingdom Blog Rubens. Can you please start by telling us a little bit about yourself, how you got started in Jiu jitsu, some of the titles you’ve won, and how you got the nickname “Cobrinha”? RC: Hi Felipe. The Jiu Jitsu Kingdom blog is very nice and has some great articles. I really liked your article on attacking the legs! I was born in Londrina, Brazil but raised in Sao Carlos, Brazil which is in the middle of the state of Sao Paulo. I moved to the city of Sao Paulo in 2004 and then to Atlanta, Georgia, USA in 2007. I got started in jiu jitsu in 2000 when a friend of mine who owned a martial arts school decided to start a jiu jitsu program because of its growing popularity. He invited me to come check it out, and I have been hooked ever since. I earned my black belt in 2005 and won my 1st major title at black belt that year when I won the 2005 CBJJO World Cup which I also won the following year. I’ve won 4 consecutive IBJJF World Championships … from 2006 – 2009. I also won the 2007 & 2008 IBJJF No gi World Championships. Prior to jiu jitsu, I taught Capoeira and was also a baker, even owning my own bakery for a while in Sao Carlos. I still love Capoeira and I still love to bake bread, cakes, & pies! JJK: How much of an influence did Fernando “Terere” Augusto have on you and your style of Jiu jitsu? RC: “Terere “ had a big influence on my jiu jitsu even before I ever trained with him. He had a style, both as a competitor and a person, that made him a role model for me as well as many other people. When he invited me to train with him, it completely opened new opportunities for me. I tried to absorb everything I could while training at his school, and he had a profound effect on my guard passing style and skills. JJK: You are one of the most exciting competitors to watch in the competition circuit with a spectacular guard and the ability to seemingly sweep anyone! How have you seen Jiu jitsu evolve over recent years both in gi and no gi competition and what are your thoughts on the evolution of the guard both in gi and no gi competition? RC: Thank you. The guard is a great position because it opens up so many options with both sweeps and submissions. Jiu jitsu is always evolving. I see the quality of competitors rise each year and along with this improvement in overall quality, we have more innovation. Of course this year there has been much discussion and development in the 50/50 guard game; although I have yet to see it used effectively to finish fights, so I think it still has some developing to go. I also think the jiu jitsu community has led big improvements in the no gi game, and there seems to be more attention on it now, so I expect to see it continue to progress. JJK: What are your thoughts regarding the 50/50 guard? How can it be developed and improved? Is it possible to play against an opponent who stalls and how dangerous is it to play against a good leg lock player? RC: There has been a lot of controversy about the 50/50 guard in the past year. I, for one, do not think the position itself is controversial; in fact, I like it and have used it for several years. There are many great sweeps from the position and in no gi, as you point out, the leg lock options make it potentially dangerous for submissions. The problem with the position is when it is used for stalling. This is really only an issue when used in the gi because the ability to grip the pants makes is easy to just hold your opponent in place and slow down the match. This is no different than if someone uses the half guard just to stall, so it really isn’t about the position but about how the position is used. JJK: Regarding the CBJJ rules, how referees interpret the rules, playing 50/50 guard for offense, defense, and stalling as well as the so called “reaping the leg” resulting in a disqualification. What do you think could be done to improve this? Is there any rule/s that you’d like to see change or be implemented and why? RC: Just like any other position that is used to stall, I believe the referees should stop the position and a give penalty or restart the fight. If the competitor re-establishes the same position and simply uses it to stall again, he should be disqualified. JJK: When training your guard for competition, what do you feel is the most important aspect to work? Do you focus on developing strong sweeps, guard retention and replacement, or aggressive submissions? RC: I believe you have to train for all of these situations. In my fights, I am always going for a submission. That is what jiu jitsu is all about, and I believe whether you are working your guard or passing someone’s guard, you are always looking for a submission. Of course, sometimes you cannot always get the submission. Having good sweeps allows you to land in a position that opens up more submissions. I have even allowed myself to be swept in competition, just so that I could sweep back into a more advantageous position and open up submissions. Finally, the ability to recompose is critical to having an effective guard game because it gives you the confidence you need to go for things. You must know that if your submission or sweep fails that you can recompose your guard or else most are paralyzed to move. JJK: You have had a lot of success in the absolute division even though you are fight at a lighter weight. What do you feel are the key to successfully competing against bigger stronger competitors? RC: It is really important to have a good guard if you are competing against bigger, stronger competitors. Also lightweight people are usually quicker and more flexible, and you want to take advantage of that. JJK: How important is strategy in Jiu jitsu? Do you have a general strategy in all your matches or are they more opponent specific? If so how do you develop a strategy for various opponents? RC: I know that some fighters talk and think a lot about strategy. For the times when I know my opponent’s style or game, I go into the fight with some ideas to anticipate their actions and try to find ways to impose my own game; however, I wouldn’t say that I build a specific strategy for each match or for specific opponents. I like to keep my options open and adjust my game as the fight unfolds. Being too rigid in defining a specific fight plan can be bad if it doesn’t go your way. JJK: What matches have been really significant in your BJJ career as either major sense of accomplishment or particularly memorable experience for you? And what have they meant to you? 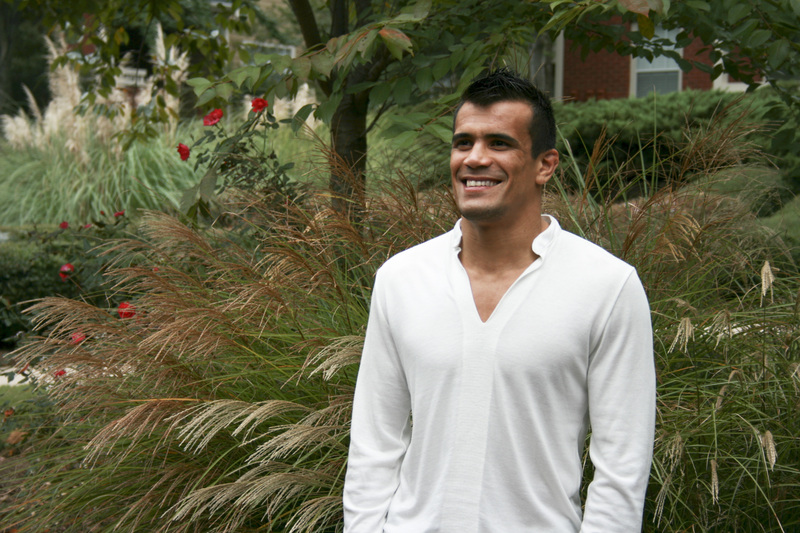 RC: All of my world championship finals have been significant to my jiu jitsu career. The most memorable is my 1st IBJJF title in 2006 when I beat Marcio Feitosa in the finals. 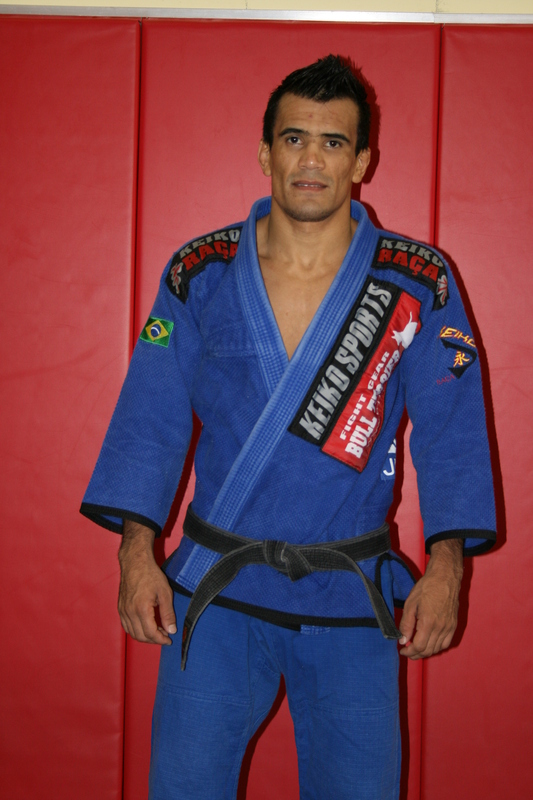 Marcio was and still is an amazing athlete and jiu jitsu practitioner. To beat him in order to win my 1st World Championship was a huge honor and great accomplishment. JJK: A lot of people may not know this but you obviously have a gift for teaching having taught both Michael Langhi and Sergio Moraes both of whom have won the world championships as black belts! What do you attribute this tremendous success as a coach to? And how can other coaches learn from this and better guide their students to success? RC: I teach the same way I learned – that jiu jitsu is a science as well as an art and it takes a great deal of dedication and practice in order to internalize it and make it part of who you are. When I teach, I try to teach my student everything I know – every insight and every detail. I teach the technique, explain how and why they are used, common errors that I see, and then I get them to drill the position over and over to make it automatic. JJK: When training and teaching Jiu jitsu, how important is it to spend time drilling the techniques learnt? And roughly what percentage of time do you spend drilling techniques verses live rolling with team mates? RC: I cannot stress enough how important it is to drill technique over and over. I think this is one of the most common errors individuals make in training. Everyone wants to learn a whole bunch of moves but no one wants to spend the time drilling and practicing each one in order for it to become automatic for them. It is no wonder I see blue belts who are aware of many, many moves but unable to execute more than a handful in sparring or competition. They are just aware of the move – they often really don’t understand the details of the position, and they definitely do not drill it enough to be able to execute it without thinking. If they would spend 1.5 hours drilling just 2 or 3 positions … that would really help their game. In terms of overall percentages, I’d say that you should drill about 45% of your training time, spar 55%. If you are just a leisure participant in the sport or do it purely for fun or fitness, you can drill a higher percentage of the time. JJK: In this day and age, strength and conditioning has become very important at the highest levels of competition. How do you prepare yourself physically for the rigours of competition and how much time do you dedicate to your strength and conditioning training? JJK: Can you offer us your thoughts on the best to learn and improve quickly in our Jiu jitsu training? What do you feel are the keys to success? RC: I don’t know of any shortcuts to learning jiu jitsu. I do think that there are more efficient and less efficient ways to practice and learn jiu jitsu, which will affect your rate of improvement. I already talked about the importance of drilling positions. I don’t think most people put in the drilling time they need or they don’t really pay attention – either in class or while they are drilling a position. Some people get bored easily and their mind seems to wander — maybe they are thinking about the next move they are going to learn, a counter to the one they are working on, or a whole bunch of “if” questions about the position. “What if he blocks my hand here?” or “What if he does that?” and on and on and on. Maybe they are just thinking about a deadline at work or what they will have for dinner. The point is their mind is not in the process & they lose sight of the position they are supposed to be learning or drilling. It’s like reading a paragraph in a book but not knowing what you just read because your mind was somewhere else. It happens to me all the time (when reading, that is). If people better focus and commit the time, even if it is boring, to drilling positions until they are automatic, they will develop much more quickly. JJK: What are your thoughts regarding gi versus no gi training? And how much time do you spend doing each? RC: I think training both is important – they both help each other. Training in a gi will help your no-gi game and training no-gi will help your gi game. I train more often in the gi. On normal weeks, only 1 day is dedicated to no-gi training. However, when preparing for a no-gi event, I will train about 50% no-gi. JJK: Finally, do you have any aspirations to fight mma like to many other top Jiu jitsu players as of late? RC: I like MMA, and it would certainly offer a new set of challenges for me, but I am still not done with jiu jitsu competition. For now, I will continue to focus on jiu jitsu, as I still have more to learn and more to do in the sport. I don’t have any specific plans to compete in MMA, but I’m not closing the door to it as a possibility in the future! JJK: Thanks for your time Rubens and I look forward to seeing you compete in the future as well as attending your seminars here in Australia next year! To find out more about “Cobrinha” visit his website at www.rubenscharles.com or better yet check out his amazing instructional DVD set… You wont be disappointed! RC: Thank you, Felipe. It has been a pleasure. I hope your readers enjoy and get something useful out of the interview. Good luck to you and your blog, and I also hope to see you at a seminar in Australia.